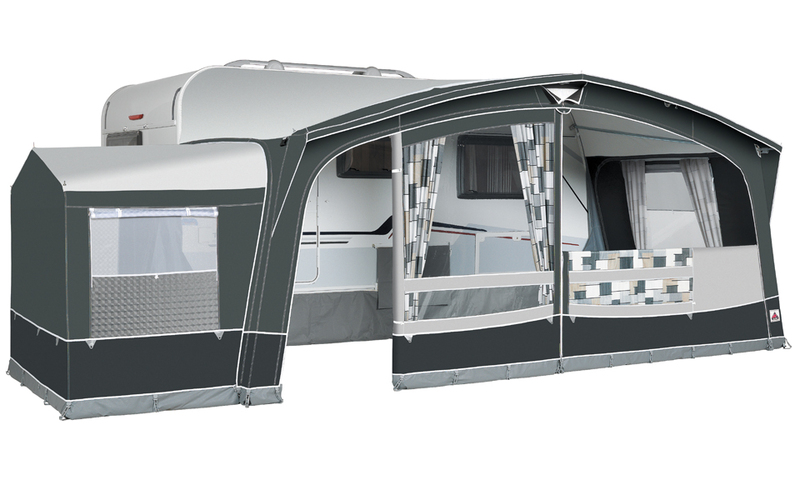 The Octavia is the latest model designed and developed by Dorema to enhance the futuristic styling of the latest modern caravans. Manufactured in the new super quality Ten Cate All Season material for strength and durability, this material is also perfect for seasonal site use due to its strength and ability to withstand weather systems. 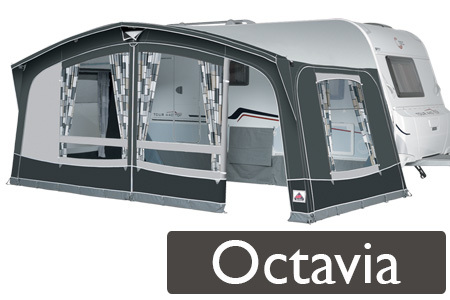 Like the Garda 240, the Octavia is also perfect for the Australian storms and weather systems due to being fitted with solid window blinds able to be rolled down and secured for extra security, privacy and added protection, fly screen panels are fitted to both side windows. Doremas great design means ladder straps are used meaning no more tripping over in the dark after not seeing a guy rope! 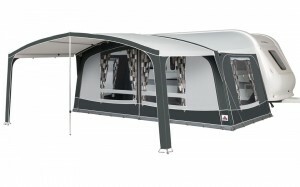 The front of the Octavia awning is fitted with beading for the optional Palma awning canopy extending your outdoor living space to double your awning. 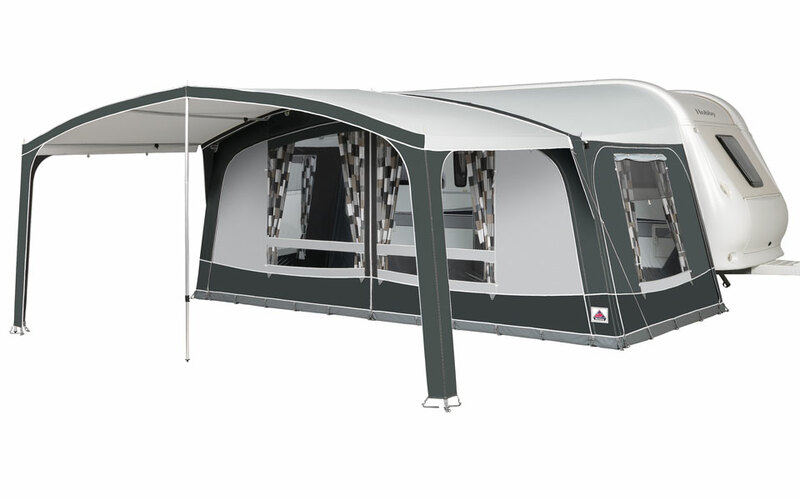 A tall annex extension is also available as an option, making a great bedroom and designed to fit on either the left or right-hand side of the awning! Ladder straps supplied as standard Covered zips in matching material for added protection. 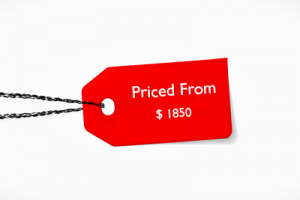 Please note: Prices quoted for the Octavia are for the smallest size awning available and without any optional extras, quoted price includes delivery to your door within Australia. 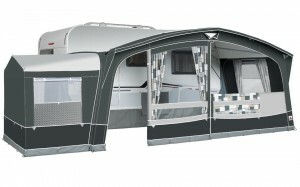 Let our expert staff assist to ensure the correct fit for your caravan.